Are you struggling to find fully-working best Kodi Addons in 2019 for all your entertainment needs? It’s the right time to get what you want. 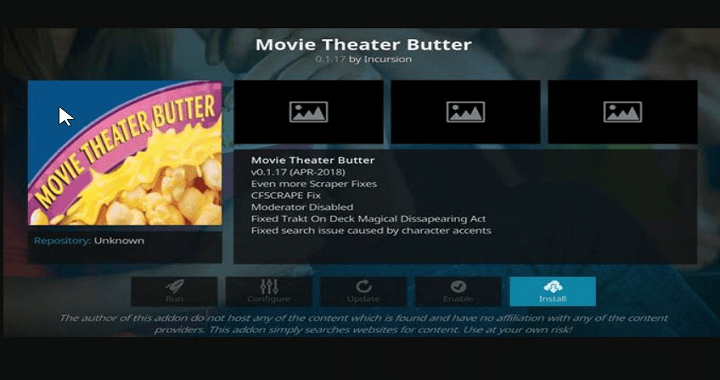 After knowing the difficulties of getting fully-functional Kodi Addons for movies, TV shows, live TV, cartoons, music, sports and just about everything in between, we have decided to shortlist the best-working Kodi Addons for March 2019. To be frank, Kodi Addons are not 100% stable and they might be taken down whenever they face legal troubles or any other issues. Hence, it is necessary to stay updated frequently. It is strictly recommended to stay safe while using Kodi as using illegal Kodi Addons are dangerous without a VPN and may also have the capacity to bypass any sort of Geo-restriction. While new Kodi Addons come under the spotlight, some popular Addons disappear overnight. This is exactly what happened to Addons like Neptune Rising, Genesis Reborn, Placenta, Uranus, Midian, Wolf Pack, and much more. All of these Addons were abandoned by their developers and sadly, they are not coming back. However, the good news is that there are hundreds of high-quality Addons for Kodi, from almost every category imaginable. Conclusion- Which working Kodi Addons worked for you? 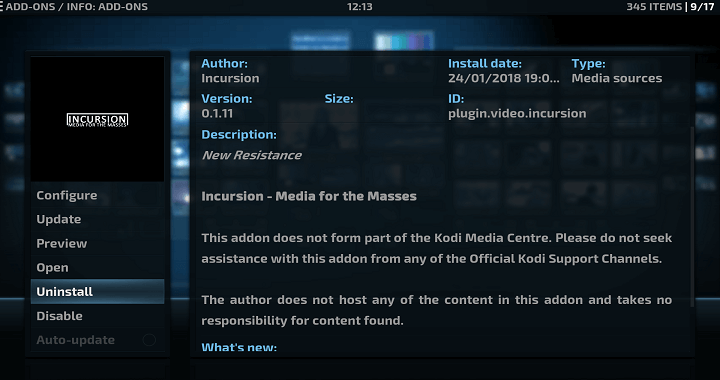 So, in this article, we have tried to make it easier for you by presenting the Top 10 Best Kodi Addons that are available at the moment and are working without any problem. 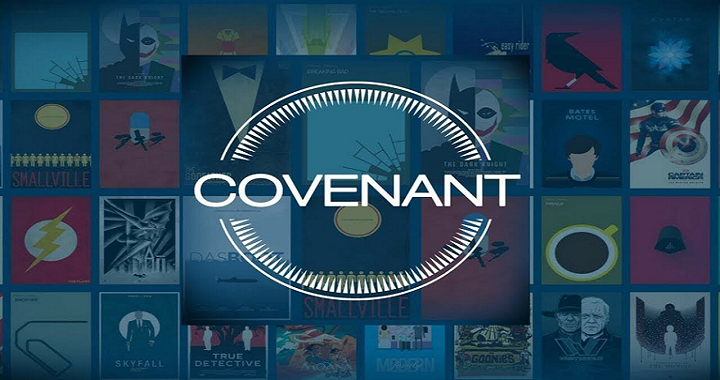 Covenant is an absolute favorite among those who have been using Kodi for a very long time. After being abandoned by its developer, a new version appeared. It’s fully working and brings plenty of selection when it comes to movies and TV shows. One of the best things about the Covenant is that it easy to navigate. No matter if you want to dive into movies or TV shows, you’ll have plenty of options and sub-categories available right in front of you. For example, you can sort the available streams by genres, popularity, languages and much more. For better understanding, visit the Covenant installation guide where you can easily understand the step-by-step installation process through images. After being abandoned by its developer, who decided to pursue new opportunities, Exodus has been picked up by an up and coming developer known as Kodi bae. The new Exodus, however, looks the same as before. Since this add-on and Covenant share the same core, they could be great alternatives for one another. You get to pick from movies and TV shows, both of which have helpful filtering options. Aside from the Trakt integration, Exodus follows what’s on air on popular TV channels and lets you watch the latest movies as they come. If you are a true movie fan, you’ll want the best possible user experience. The fact is that Exodus works better with Express VPN since this VPN application unlocks its entire library and optimizes its performance. The Magic Dragon is a newly released add-on. If you keep on reading this article, you’ll encounter a well-known add-on called The Dogs Bullocks. This is a powerful all-in-one add-on providing various types of content. However, it has been noted that there are periods when this add-on is offline. The Magic Dragon brings a whole range of content that begins with movies and TV shows, but also stretches to sports and even radio channels. 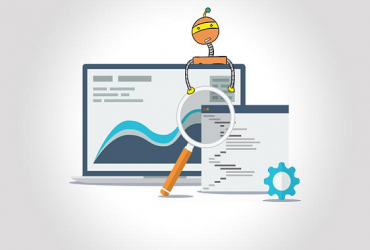 It relies on a number of third-party sources, which means that you will always find a working link. A huge library awaits, with numerous HD video files. All in all, this can soon become one of the best Kodi Addons. 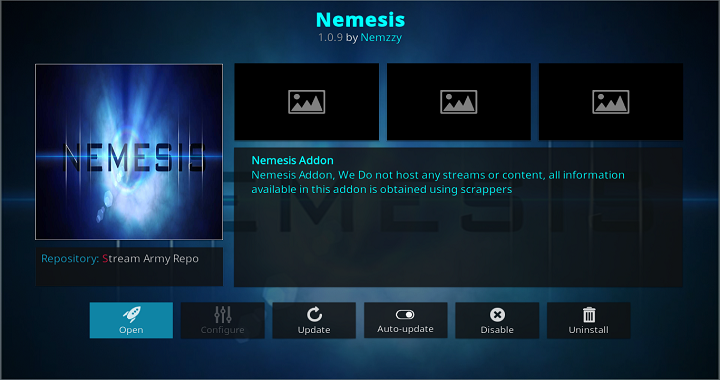 During the last month, Nemesis received a couple of updates. It still comes with a huge array of content categories and there’s an all-new maintenance section as well. This is where you can delete junk files and make sure your Kodi is running at its best. In addition to this, Nemesis also requires you to enter a PIN every four hours. Since this is one of the best Kodi Addons at the moment, this is the price you will need to pay. This add-on’s catalog consists of movies, TV shows, and sports-related content. These three categories are fuelled by different content sources, so there is always something new to watch. However, Nemesis also offers music, audiobooks, cartoons, and anime. In short, even though you think you are done, you will find a part of the add-on which you will feel you haven’t explored. 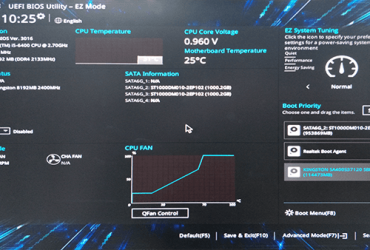 This is why Nemesis is one of the best Addons of Kodi in 2019. Were you a huge fan of Exodus back in the day? If that’s the case, we have amazing news for you. 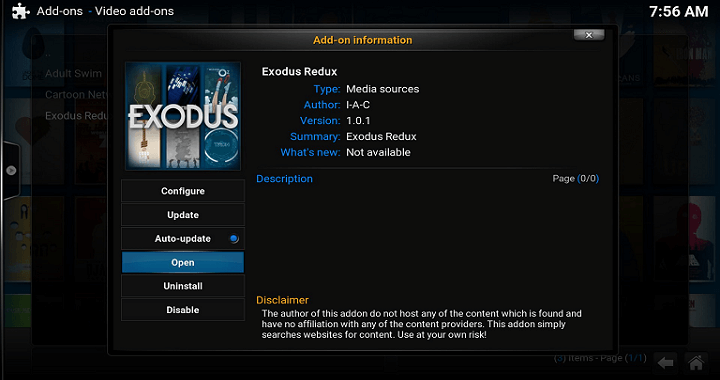 Right now, you can install one of the best ever Exodus alternatives. Named Incursion, this add-on is close to identical to Exodus. It brings both movies and TV shows, with nicely organized sub-categories. There are many ways to filter the available content, as well as many content providers to choose from. All in all, you will find a vast library of content with very few non-working links. 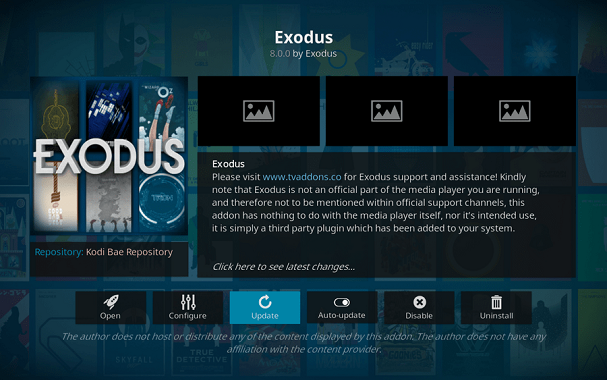 Just as the name goes, this is a fork of Exodus – one of the best Kodi Addons of all time. However, Exodus Redux isn’t just a clone. This add-on is an entirely different beast under the hood. In terms of appearance, Exodus Redux looks almost exactly like the original Exodus. You can use it to watch TV shows, and movies, browse numerous genres, languages, and everything else in between. Yoda is yet another add-on that uses the same code as Exodus and Genesis Reborn. However, we like the fact that you can find some unique categories here, which makes Yoda stand out. 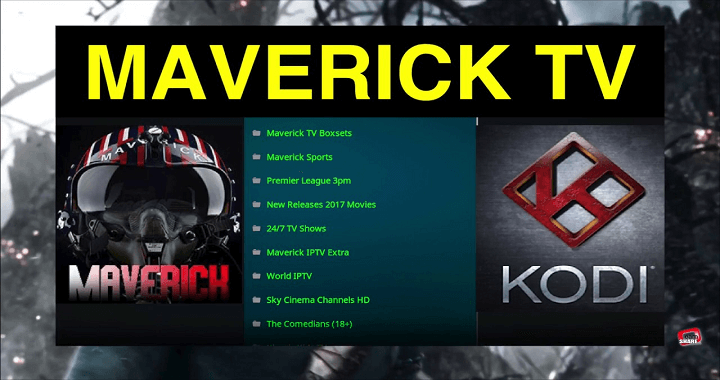 This is of the best Kodi Addons which are also trending at the moment. Yoda offers movies and TV shows, with plenty of sub-categories to choose from. You can browse the library by genres, languages, certificates, popularity, and in many different ways. The home screen of Yoda also gives you quick access to documentaries and box-sets, and there’s an option to watch TV shows based on their home network. The Maverick Repo has been one of the most active participants in the Addons community for a very long time. However, it went through a setback a few months ago, and many of its Addons stopped working. However, this is no longer the case. The all-new Maverick is better than ever – it is one of the best Addons at the moment. Movies, TV shows, IPTV, live-streams, sports – you name it and they’ve got it. The add-on seems to work just fine, relying on the latest scrapers and finding plenty of HD links. We’re sure you do not want to miss a chance of getting your hands on this add-on. In case you have decided to try our previous recommendation, Maverick TV, you’re also going to love Gen-X and is a suitable alternative for the same. These two Addons come from the same developer and can be good alternatives to each other. In many ways, Maverick TV and Gen-X are close to identical. However, Gen-X is a newer Kodi add-on that goes one step further in terms of content. You can find some niche categories, and installing this add-on would be a good idea. Movie Theatre Butter is a clone of Exodus, which is why these two apps look alike. However, there is one major difference here. Instead of listing dozens of download links, the add-on takes the best stream it can find and starts playing it automatically. This means not having to try different streaming links manually, which can be quite frustrating at times. Therefore, we think you are going to love this add-on. To download and use the Movie Theatre Butter, you need to rely on the Diamond Wizard Repository. We sincerely hope that you have found this article helpful. If that’s the case, feel free to share it with other Kodi users via social networks. In addition, we’re always interested in hearing what our readers think. Tell us more about your favorite Addons. We’d gladly expand our list of the best Addons 2019 according to your suggestion. For more such posts, you can check our top list section. 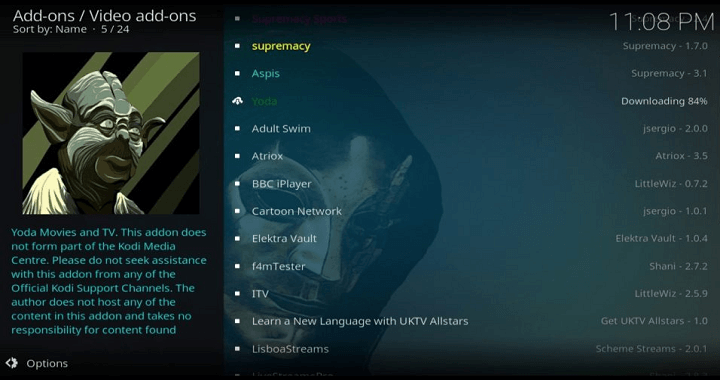 You can use these working and updated Kodi Addons now. 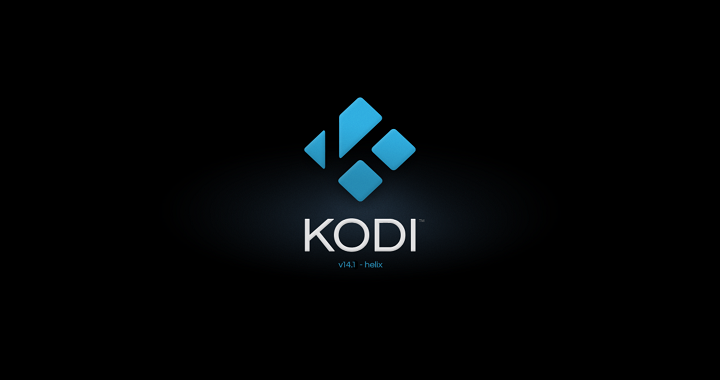 Although Kodi addons are not 100% stable but we have tried our best to get you the working. Also, will keep this updated.